Great for history buffs, foodies, and those with limited time to explore the Tuscan countryside, this day trip lets you experience the highlights of the region. Your group will visit the gorgeous cultural hub of Siena, the famously leaning Tower of Pisa, and the medieval hilltop towns of Lucca and San Gimignano. You’ll also get to enjoy the area's cuisine with a traditional Tuscan lunch. Accompanying you will be an English-speaking guide whose knowledge enriches every aspect of your trip. After meeting your group in downtown Florence at 7:30 a.m., you’ll board your private and comfortable coach for the ride to Pisa. Once you've arrived, you'll head right to the famous Piazza dei Miracoli (Miracle Square), a grand, UNESCO-listed plaza anchored by the city's dazzling medieval baptistery and cathedral—along with its uniquely tilting campanile, better known as the Leaning Tower of Pisa. After exploring, you'll enjoy lunch here—and some local wine—with your group at a traditional Tuscan restaurant. 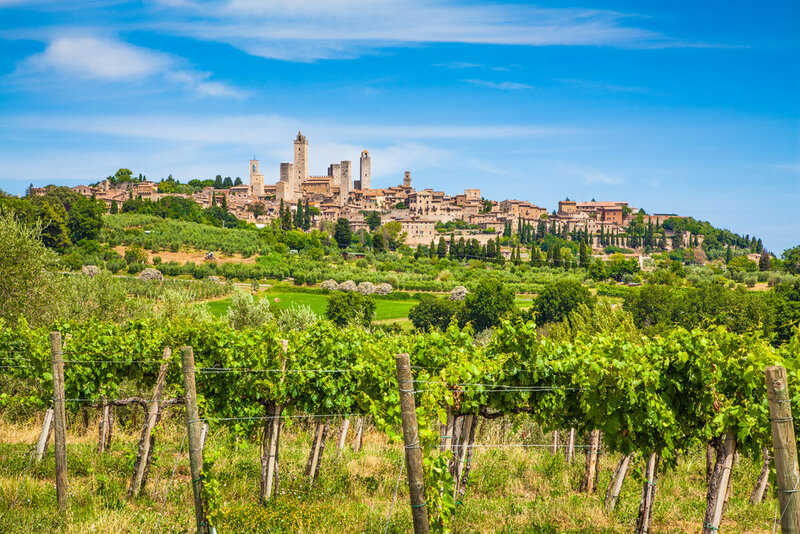 The stunning medieval hilltop town of San Gimignano, with its soaring towers, fortress-like walls and winding streets, is your group’s next destination. You'll have time here to explore the town's charms—including its picturesque piazzas, tower houses, and 12th-century Duomo. Your Tuscan adventure will conclude in Siena—a compact city whose architectural beauty and artistic culture rivals that of Florence. Here, you’ll take part in a guided walking tour of the city’s highlights—including its main square, Piazza del Campo, where the exhilarating Palio horse race that takes place each year. You'll then have time to explore some of the city on your own before heading back to Florence. Good walking shoes, a hat, sunscreen, and bottled water. Many parts of the itinerary are not shaded.